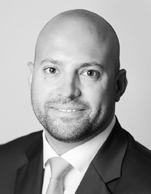 Nicolas has been with Fearnley Securities since 2015 and is head of the Investment Banking Division's Asset Backed Finance products. He attended the TOOL program at the University of Oslo and has 12 years of industry experience from the maritime sector, where he has held various commercial roles within the Astrup Fearnley Group and at Stena Bulk. Prior to joining Fearnley Securities, Nicolas was GM and head of Stena Bulk in Singapore where he was in charge of business development and oversaw the company's crude tanker and LNG activities in the region. He was recruited to Stena from Fearnleys where he worked primarily with S&P transactions and projects, first in Oslo and later as head of department at Fearnleys Asia (Singapore). Nicolas has concluded a wide range of strategic asset and finance transactions for a global portfolio of clients as well as working regularly on advisory engagements.